Kenny Shiels has challenged his players to step up to the mark after back to back defeats opening the 2018 season. 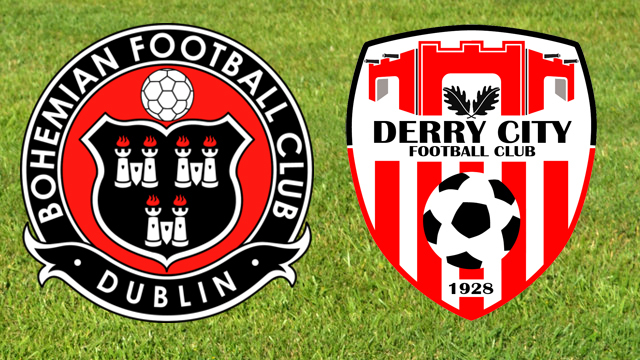 While the focus may be on the return to the Brandywell this week, City have a difficult trip to Dublin tomorrow night to face Bohemians in Dalymount. City head to the north side of the capital tomorrow night looking to get their season up and running, whilst the home side will have their eye on continuing their unbeaten start to the new campaign. The City boss will be forced to plan without both Conor McDermott and Armin Aganovic. McDermott was forced off before the end of Friday night’s defeat. The manager confirmed that Aganovic, who scored on the opening night against Waterford was also injured during the game and neither would start against the Gypsies tomorrow night. Also ruled out are Cofie, Peers, McIntyre who have yet to be involved this season. This is likely to present an opportunity for Dapo Kayode or Eoin Toal to partner Darren Cole in the heart of the defence. Jamie McDonagh who was replaced by Ronan Curtis on Friday may be favourite to replace McDermott at full back, but the manager confirmed that both Niall Logue and Jack Doyle will be available to him. Turning to tomorrow night, the boss admitted that his side first needs to put together a performance in order to put the Candystripes in a position to take something from the game. The game will be live on Drive 105MNL and BBC Radio Foyle.